Shipping has been one of the most important means of transportation throughout history. Even as far back as ancient times, shipping was used to transport both goods and people, and entire cities developed because of natural harbors and trade routes. Things were much the same when Europeans first settled the United States. Boston and New York both became great cities because they had natural harbors where ships could dock and shelter. While this might not surprise you about big cities, did you know the same is true of small towns? Whether located on rivers or natural harbors, many towns in the United States and across the globe came into existence do to geography. This is particularly true of towns along the Great Lakes. A lot of effort and attention was put into laying a railroad that would span from the East Coast to the West Coast after the Civil War. But no such effort was put into connecting the Gulf of Mexico to the Canadian border. 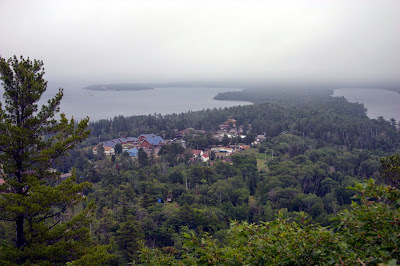 Eagle Harbor, Michigan, the town I'm featuring in my new Eagle Harbor Series, was accessible mainly by water. It had a pier where large ships could dock and received all of its imports and exports exclusively through shipping. The railroad didn't come to Eagle Harbor until 1907, and numerous towns similar to Eagle Harbor exist in other places along the Great Lakes. Rail was essential for towns that weren't on a river, Great Lake, or ocean. If a town didn't have a port and didn't have a train depot, then sending and receiving goods could be done only through horses and wagons, which severely limited the amount of imports and exports from an area. 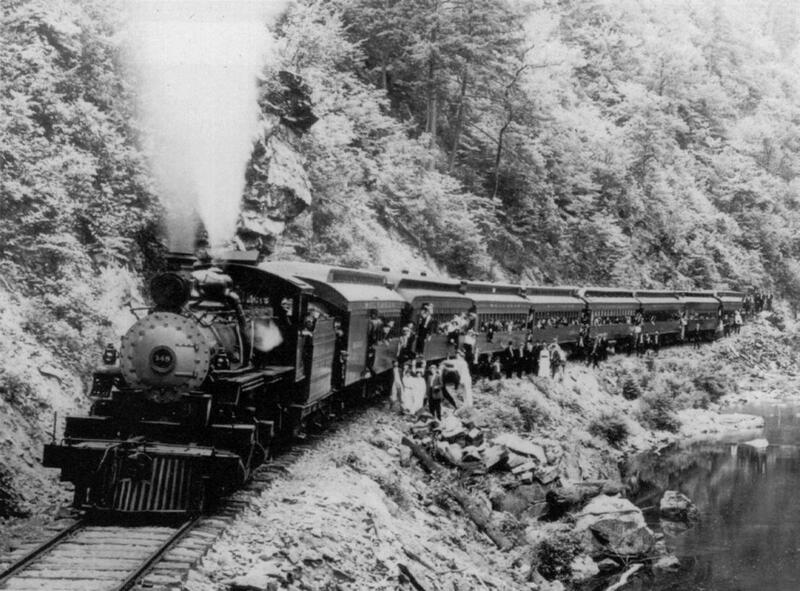 Oftentimes short, local railroad lines were laid from coastal towns to villages farther inland. In that respect, many towns relied on a combination of both shipping and rail to get their supplies. Such is true of the old Delaware Mine and Central Mine in Michigan's Copper Country. A local train track ran the five miles from Eagle Harbor's port to the crowded mining town of Central, where over 1,000 people depended on the supplies being shipped to them. 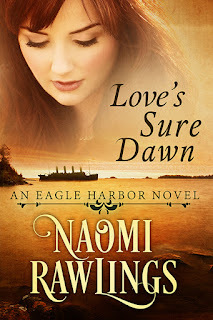 In my newest Eagle Harbor novel, Love's Sure Dawn, I deal with the important role shipping played for towns that would otherwise be completely isolated. My hero is the son of a shipping company owner, and my heroine spends time working as a cook on one of the ships that runs from Eagle Harbor to Chicago. Oftentimes in novels, characters walk into a general store and find fabric, boots, saddles, and the like. It was fun to include a little bit about how all those boots and bolts of fabric got to be in the general store in the first place. No matter how hard she tries to help, Rebekah Cummings always ends up causing more problems than she solves. This time, though, things will be different. 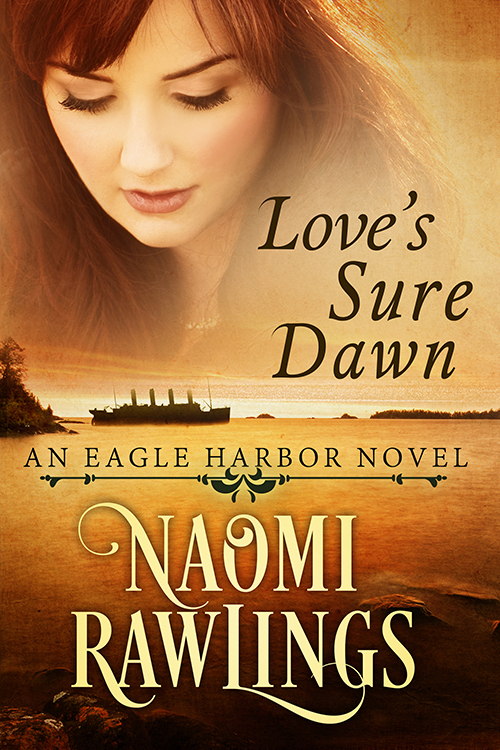 She'll find a way to pay her family's debts, even if doing so requires leaving Eagle Harbor. Maybe then they'll start treating her as a capable woman who makes her own choices. Gilbert Sinclair is going to marry an heiress. With his latest business venture sunk at the bottom of Lake Superior, he needs money to replace the steamship he lost, so he heads to Chicago where his father's business connections should land him a suitable wife. Like most things in his meticulously planned life, everything goes as expected—until he discovers Rebekah Cummings working as the new cook on his ship. Rebekah well remembers the pain she endured the last time she tried trusting Gilbert, and Gilbert can't afford to pursue the love of a working class woman. But they can't stop the forgotten feelings swirling between them--or ignore the sacrifices they'd both have to make for a future together. Learn more about Naomi and her books at www.naomirawlings.com. Someone did a post here once on a railroad that was laid across one of the Great Lakes that had frozen over. That's so hard for me to imagine, coming from the Midwest, where our lakes and rivers never fully freeze over. I was born and raised in a town that resides alongside the Arkansas River. Hmmm. That would be an interesting post. I've never heard of that happening before. I do know of a spot between Michigan and Canada where they mark a snowmobile trail in the ice every year because it freezes so solidly it's perfectly safe for snowmobilers. I enjoy railroads and everything about them, especially how they function across the different states. Some of my folks worked on the Arkansas Cotton Belt railroad. Thanks for your post. Thanks for stopping by, Linda.